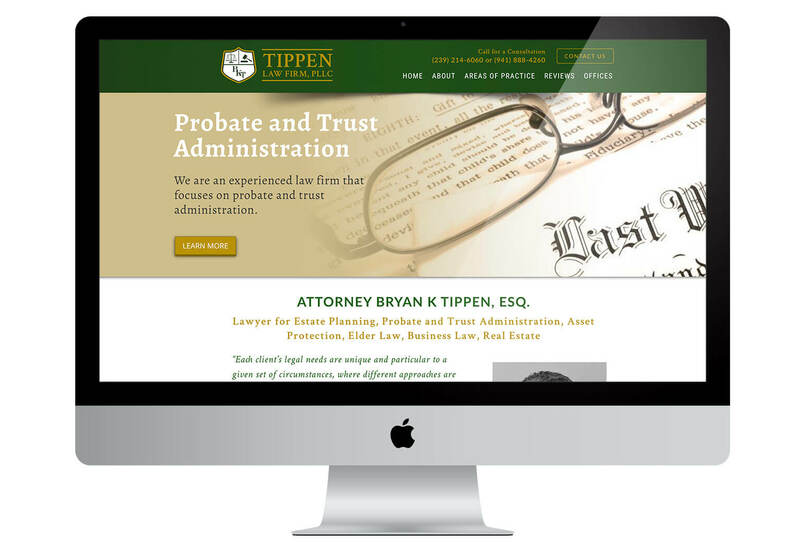 Tippen Law Firm is a local law firm specializing in probate, wills, and setting up trusts. They expressed to us how their former website was not connecting with visitors. Thus, in the redesign, we made sure that the new design was speaking to their target audience – mostly middle-aged to elderly people. The imagery had to create an emotional connection potential clients could identify with. Our strategy was to make sure that visitors could identify with the content, find pages very easily, and that contacting Tippen Law was always a click away. Navigating had to be especially simple with an older target audience. Tippen Law has various offices so we created location pages to help them rank in different cities. Since the redesign, we are pleased to say that Tippen Law has noticed a significant increase in the number of clients contacting them. Furthermore, they emphasized that not only has the new website grown their business but that these new targeted clients are ‘a best fit’ for their practice.